I’m excited to share my new partnership with Aeropostale! Awhile back they contacted me about being an Aero VIP and sharing my favorite pieces currently in their stores. To be honest, I was really not familiar with the brand but did a little research and liked what I saw! Since it’s mid August stores are pulling out their “Back to School”/fall items and I’ve been loving all the distressed jeans and slouchy sweaters I’ve been seeing. But since it’s mid August, summer in So Cal hasn’t really even reached it’s peak. Luckily I was able to sneak in these pieces one evening. I know I will be living in them when the seasons do change. I love those jeans Ashley! They look awesome on you! Perfect for the Fall. Wow Aero is definitely so lucky to partner with you Ash….love outfit choices esp. those shoes! Congrats on the opportunity lady! I love what you’re wearing here–the shape of that slouchy sweater is awesome. Congrats! 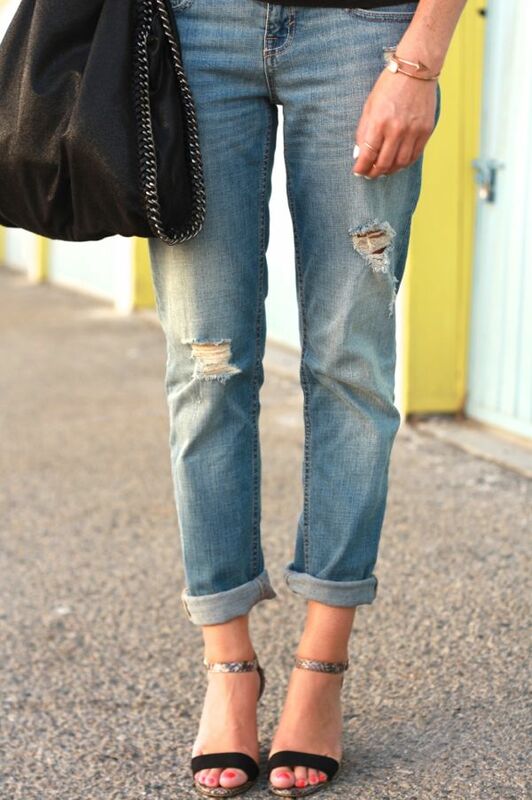 And love the jeans! It’s been sooo long since I’ve been in an Aeropostale!